This is a four piece Italian project that made this debut-CD with one goal: making music as a tribute to the sound of the legendary Italian bands like METAMORFOSI, BIGLIETTO PER L'IFERNO, BANCO, IL BALLETTO DI BRONZO and Le ORME. They released it last year on the known Italians progrock label Mellow records. This CD is a warm and pleasant tribute to the wonderful Seventies progrock sound from the Italian legends. 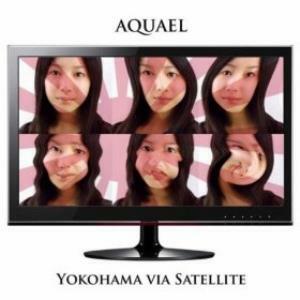 NOTE: This band has changed their name to AQUAEL. 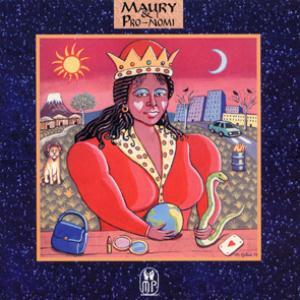 This italian band with quite a strange name, at least to me Maury e i Pronomy , is one of the lesser known acts in prog music coming from Italy. Even they formed around 1978-1979 under Aquael name, disbanded after a decade without many memorable activity, change the name in Maury e i Pronomy around mid 90s and the first album will apear in 1997. The second offer will come later on almost a decade after in 2005 named (Ec)citazioni Neoclassische, graced by an excellent art work. Well, this definetly their best from the two and one of the better prog albums from italian school around that period. Even the influences can be traced of course from the glory days of prog like PFM or Metamorfosi or later on from revival of italian scene in the '90 like Consorzio Aqua Potabile among others Maury e i Pronomy did a fantastic job here from start to finish. Opening with the monster 26 min Racconte Degli De, they show that the potential is there and big time. Nice vocal arrangements in italian, the instrumental passages are excellent, what else a nice complicated opning with many memorable parts. The rest of the 4 pieces are also great. The symphonic moves, leasent and wonderful made make from this release, at least for me one of the most enjoyble ones from italian school from last decade. a big 4 stars for this one, no lows only highs. 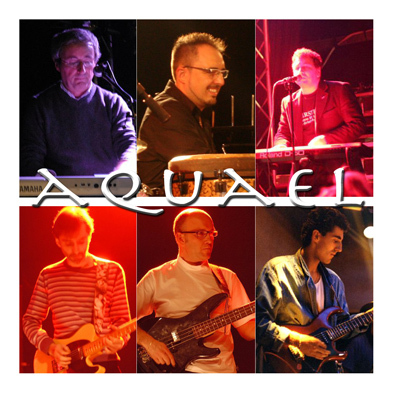 Coming from Moncalieri, Italy and formed as Aquael in 1979, this band was led by keyboardist Maurizio Galia and founding members Enrico Testera on bass and Nicola Guerriero on guitar.The rise of British Prog during the 80's gave them hope for a succesful career, but, despite changing their sound to more accesible forms and their name to Lego in 1985 (along with the arrival of singer Marco D'Angeli and drummer Alberto Bordone in the place of Aldo Leone) they disbanded at the end of the decade.A new formation with all three original members appears in the 90's and the style returns to the progressive roots, while in 1995 they become Maury E I Promemoria, releasing the album ''Ziqqurat nel canavese'' in 1997.A new change of name follows, the band becomes Maury E I Pronomi and releases a compilation of old and new pieces in 2000, ''Tanganica, il passato ed il futuro'', sold via a pair of websites in the limited number of 150 copies.Apparently they came to the attention of Raoul Caprio of the Kaliphonia label, but as the company demised, they signed a contract with Mellow Records, releasing ''(Ec)citazioni neoclassiche'' in February 2005.Gialia, Guerriero and Testera were supported by young drummer Sergio Ponti with Marco Giacone Griva and Sergio Cagliero as guests on lead guitar and organ respectively. There are certain signs the band had fully returned to the progressive style of the early years and the grand 26-min. opener ''Il racconto degli Dei'' is the absolute example.This is beautiful Symphonic Rock of the Italian Prog tradition with native vocal language, similar to CONSORZIO ACQUA POTABILE and SITHONIA, having a strong sense of melody and evident influences from bands like PREMIATA FORNERIA MARCONI, CELESTE or SEMIRAMIS.With a lovely combination of synthesizers, piano and organ, an accomplished guitarist with a sensitive touch and Maurizio Galia having taken over the vocal duties with his emotional voice, this composition is full of thematic changes in both dramatic and romantic deliveries with a very symphonic sound, exploring a range of musical colors, either in melodic or more intricate arrangements and eventually offering a palette of Italian Prog colors with Classical influences in evidence.The rest of the displayed material is no less interesting. ''Lei e Venezia'' is another long track, clocking at 12 minutes, featuring big symphonic moves on keyboards and impressive guitar work full of emotion, the instrumental parts are long, elaborate and rich and the lyrics are very poetic and expressive, great piece of art by any means. ''Voglio cambiare'' is the most rockin' piece in here with a full organ-based sound and touches of harpsicord, supported by great vocal lines and some bombastic synthesizers. ''Oceano'' is about 9 minutes long, this one contains organ, synths, flute and sax as the leading instruments, creating a very flexible but still symphonic sound with slight psychedelic edges, while the closing ''L'assenza'' has some OSANNA-like flute work among the familiar Classical-drenched keyboards and the very dramatic sound of guitars. My only complaint comes from the average production, otherwise this could have been labeled as a masterpiece of Italian Prog.Overlooked band and album, excellent work of Symphonic Rock with masterful arrangements and convincing vocals.No less than highly recommended. "This is a compilation of songs recorded between 1996 and 2008. 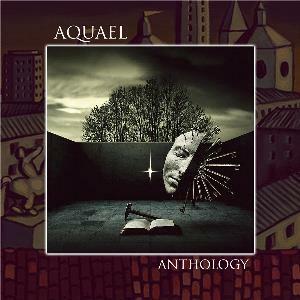 AQUAEL is a band founded the past october 1979 in Turin (Italy). 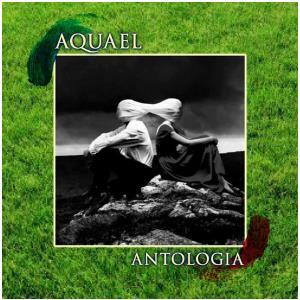 Although the band was formed by teenagers, we can insert AQUAEL amongst the last wave of Italian Progressive Rock of the Seventies. As band we have only two partecipations into two different projects: "Pirates Tales" from an abortive album of Cypherarts Records, where they are present with the track "Murat Begins" (also present here) and "Tales from the Edge" a tribute of YES, released by Mellow Records. Maurizio Galia is the leader of the band. He published as solo artist "Ziqqurat nel Canavese" (1997) and "Eccitazioni Neoclassiche" (2005). The both albums were recorded with AQUAEL bandmates, and using AQUAEL tracks. Here You have the best from those albums and a selection of previousky unreleased tracks as (we hope!) prelude for future AQUAEL albums. 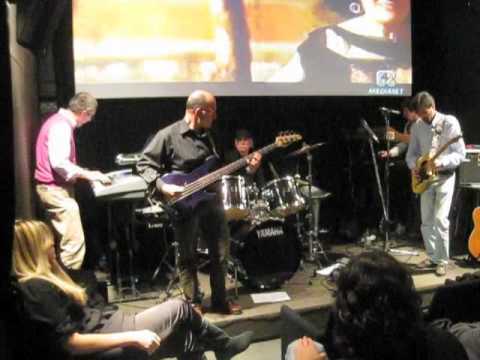 The main musicians are: Maurizio Galia: keyboards and vocals, Enrico Testera: bass, Nicola Guerriero: guitars, Marco Giacone Griva: lead guitar, Sergio Cagliero: keyboards, Sylvia Delfino: vocals, Dino Pelissero: flute, Bruno Giordana: saxophones, Carlo Bellotti and Sergio Ponti: drums, percussion. This album is only available at I-Tunes Store through downloads for now....but the vynil version and the CD version will be printed within this year. Recommended to everyone who loves Italian Pop.Prog with surprises." 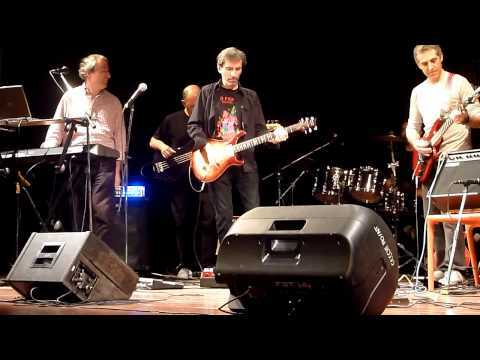 Maury e i Pronomi (now known as Aquael) are a band of old friends formed in the late 1970s, though they did not record until decades later. This album was recorded in Turin between 2001 and 2003 and featured Maurizio Galia, Enrico Testera, Nicola Guerriero, and Sergio Ponti. Marco Giacone Griva is listed as one of the many non-band special guests, but deserves a mention for contributing almost all of the outstanding lead guitar work. All words and music are the contribution of keyboardist Galia, who also did much of the booklet artwork. . The album's music is a long and dreamy adventure and it often has that slower, deliberate pacing draped in melody, which I associate with neo-prog bands like Pendragon. But it has some RPI vibe via the mood of the music and an abundance of wonderful piano and flute. There's also plenty of Hammond. It unfolds slowly and with patience, one of those titles you can get lost in. The vocals are not spectacular and the sound quality is a bit on the low-fi side, but there is a genuine joy and sincerity to the music that is invigorating, just as there is with bands like Coral Caves, Mindflower, Prowlers, or David's Lodgers. Nods to Floyd and Genesis are there, I'm certain these guys were big fans. As the music builds from the rich keyboard textures, it inevitably explodes into lovely and soaring electric guitar leads. Really airy, beautiful moods with occasional bits of "fire." I know mentioning Gilmour in prog reviews is akin to food-speak's "everything tastes like chicken" phenom, but it's a way to convey the lush feel of the guitar work here. This is far from essential RPI nor is it as closely reminiscent of the early 70s RPI scene as some believe, in my view. But if you enjoy melodic symphonic and neo-prog bands with a bit of the Italian flavor, and you understand that this is not Banco or Balletto, you may be richly rewarded for tracking this down. I really enjoyed it. Maury e i Pronomi isn't so much an actual band but rather it's a collaborative project between three old friends led by Maurizio Galia, the Maury in the name. Their debut release ''Ziqqurat nel Canavese'' represents the fruits of twenty years of labour and while it features some full-on prog it's slightly weighed down by a number of pop songs in the middle of the album. ''Il Cielo Diviso'' (The Divided Sky) is a beautifully melodic track featuring saxophone and organ. There's a sense of marital strife in this song: ''Years together, the good old days, now everything is washed away''. The sky symbolises the relationship break-up of the protagonist and his lover; although they still eat and sleep together he sings of how ''Even the sky is divided between us.'' Other highlights on the album include the funk of ''Mangiare nella Merda'', and ''Risiko sul Golfo'' which finds the band in somewhat heavier mood. The lovely cover layout and artwork were done by Maury himself and consist of a foldout booklet with all Italian lyrics. The painting features the silhouette of a couple sitting together atop a ziggurat, a terraced step pyramid with a flat top. The construction of ziggurats was one feature of the scientific revolution that occurred in the ancient Near East and they were believed to be the dwelling places of the gods. Which brings me to that opening song I mentioned above. ''Ziqqurat'' is a 10-minute love song inspired by the architecture and culture of the city-states of Mesopotamia: ''No marks I scratch, like the Sumerian tablets, will outlive our own history.'' It begins in mysterious and exotic mood with flute, percussion and spacey guitar. A male voice wailing in the background makes it sound like an incantation and I can picture the temple-priests burning the carcasses of sacrificial animals on the summit of the ziggurat, where heaven and earth were said to meet. After the 2-minute mark the main guitar riff kicks in like an ancient Babylonian warrior smiting an enemy. The riff signifies the power of the ziggurat but then sounds like a lamentation when the protagonist sings of his love that is lost like a scattered dynasty: ''The more your lips are closed, the farther I am from you.'' The dual focus of the song is the spiritual bridge between the divine and the human, and the personal anguish of someone consumed with passion and the choice between life and death: ''Why don't you talk? Your silence is killing me!'' The protagonist pleads to no avail and ultimately crosses the threshold from the known to the unknown: ''I wish that after many years an archaeologist at your house will discover my letters, like the clay tablets of Chaldea.'' Epic stuff! This release isn't on the same level as the band's excellent ''(Ec)citazioni Neoclassische'' but if you enjoy that album then you'll probably want this one for the wonderful title-track alone. '(Ec)citazioni Neoclassische' (2004) is an album that I bought a while back but didn't pay much attention to until I read torodd's recent interview with Maurizio Galia. I'm glad I decided to re-visit this album as a result because this is another of those sadly overlooked little gems, although fans of the wackier stuff might want to look elsewhere. Maury E I Pronomi originally formed in 1979 but didn't release any material until 1997; they have subsequently released three albums although this seems to be the only one that's widely available. Some of the material on the album dates back to the band's early days so the result is an interesting marriage of traditional and modern RPI. The legacy of ancient Greece and Rome is one of many influences on progressive rock and it seems to have captured the imagination of Italian bands in particular. Many RPI bands value their rich heritage and each has its own attitude to the classics. In Maury's case they reinterpret the myths by adapting them with a modern twist. The classical symbolism is laced with humour and contemporary references (computers, internet, nightclubs) that describe the old gods walking among modern men. This review is intended to offer a modicum of help with the Italian text and thereby to hopefully increase appreciation of the music. The first track 'Il Racconto deli Dei' (The Tale of the Gods) is actually a 7-part suite that's built around a dialogue between a young child and Hermes, the messenger of the gods to humans in Greek mythology. This is an ironic and well-constructed saga where each track segues into the next. It seems to be based on the amorality of the gods; perhaps it's an allegory for the demise of religion in Western Europe, but that's just my personal take on the story. The first part 'Hermes e il Bambino' (Hermes and the Child) introduces the titular child who finds an old book atop a cupboard and begins leafing through its pages. As he does so, the sound of interference comes from the radio and a stranger appears. The child questions the stranger (Hermes) who reassures him that he need not worry as he has a story to tell: 'And a true story... no, you're not dreaming, this is reality... I come from heaven, I am sent by the gods, do not be afraid.' The song itself is based on a piano-led melody with some metal guitar licks weighing in every so often. The song ends with the child telling Hermes to leave but the divinity persuades him to let him stay until he tells his story. The central part of the suite seems to be concerned with the most light-hearted part of the story. Leaving aside the two instrumental pieces we have the twin Dionysian festival of 'Affari di Famiglia' (Family Affairs) and 'Apollo, Minerva e l'Etrusco' (Apollo, Minerva and the Etruscan). In 'Affari di Famiglia' Hermes explains to the child how his story begins two thousand years ago in ancient Greece where the great Jupiter played poker with Neptune, and Vulcan was arrested in the street for stealing gold and silver and for frequenting whores: 'Why, all over the world, are they no longer masters? They are mere fools without divinity.' The child responds: 'What kind of gods are they?' This song moves the story along at a fairly brisk tempo and the jocular lyrics are accompanied by a synthesizer quacking away good style in the background. During 'Apollo, Minerva e l'Etrusco' Hermes continues to lambaste the gods for now hanging out at a fashionable nightclub, calling on Apollo to come down from the throne because he is 'no good' and telling Minerva to eat less because she looks like a maid with a fat belly: 'And all together dance... consume lots of beer and lambrusco, and then belch with happiness.' I can't hope to capture the humour of the original Italian lyrics but what I can tell you is that this song is based around a riff that sounds remarkably similar to King Crimson's 'Starless'. 'Lei e Venezia' (Her and Venice) is a love song set in Venice that contains allusions to the famous Venetian adventurer and womaniser: 'A hundred tricks of Casanova, a treasury to those who find them.' The protagonist reflects on days that he has never forgotten and wonders if one day he were to meet his old hard-hearted lover would she greet him and talk of love: 'Do you strive to remember? A memory of love always returns, but memories are never enough.' My judgement may be a little clouded by my own love for romantic Italian progressive music but for me this song bears the stamp of genius. It's a truly gorgeous piece of Baroque-tinged rock with rippling piano, choral effects, stunning guitar and synthesizer. And the novel use of African percussion during the closing section adds to the depth of the piece. Absolutely sublime. '(Ec)citazioni Neoclassische' is a fine blend of modern and seventies-style RPI with some additional elements of Neo-Progressive. My one minor criticism is that the sound isn't fantastic but that shouldn't put RPI fans off, and for fans of the melodic side of Italian progressive music this is a must have album. According to the note on the back of the CD case, this is "a fantastic journey through the archetypes of our classical past with irony, amusement and a little bit of sadness". This is the first proper release under the name of MAURY E I PRONOMI, the Italian group lead by keyboard player Maurizio Galia. He started his group AQUAEL in 1979 and it went through various mutations, evolving into this latest incarnation in 2000. 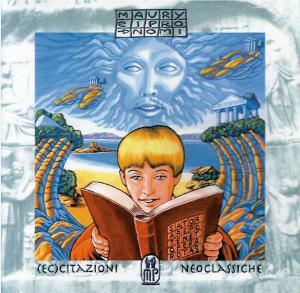 "(Ec)citazioni Neoclassiche" is really the third album: the first was "Ziqqurat Nel Canavesse" (1997) released as a private pressing by the group's precursor MAURY E I PROMEMORIA; the second album, "Tanganica, Il Passato E Il Futuro" (2000) released as a private pressing under the current group name, was a compilation of the 20-year history of Galia's group in its various guises, including three new tracks. Anyway, what of this album? Well, it's pure Italian Progressive Rock and, although not stellar, is a worthy addition to the genre. The music is in the vein of several of the 1970s Italian Progressive Rock bands. To give you an idea, I would say it's a bit like a mixture of the symphonic sound of, say, LE ORME with the harder sound of, say, MUSEO ROSENBACH (although it does not have the darkness of the latter and the music is not as heavy). Although piano, Hammond organ and other keyboards are used, the music is not as swamped by keyboards as some other Italian Progressive Rock, and the guitars are very noticeable and to the front in many places. Actually, the guitars on this album are what please me the most about it. I like the slightly heavy guitar work: the distorted guitar sounds pleasing and works very well with the keyboards. The guitar on several tracks even reminds me of the FLOYD, and that's not just because of the (groovy) saxophone on 'Oceano'. On first listening I immediately picked up on the guitar and keyboard riffs, and thought the album was interesting in parts but was unsure about the overall package. 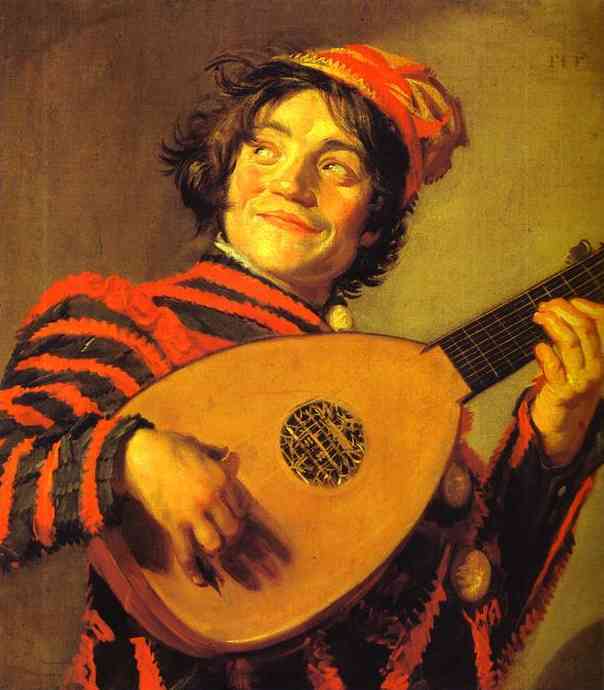 After a couple more listens I was hooked though, and enjoy the music. The song writing is good and I personally enjoy the repeating sequences on both keyboard and guitar that feature quite frequently throughout the album. Some of the riffs are the business, actually ('Fiato Immortale' is a joy). Both the keyboard work and guitar work are generally of a high standard, but the singing is the weakest part of the album. Don't get me wrong: Galia's voice is not bad but neither is it remarkable and, very occasionally, it does sound strained or slightly bland. I'm glad all the singing is in Italian, as I prefer groups to sing in their native language and enjoy the sound even if I don't understand the lyrics. 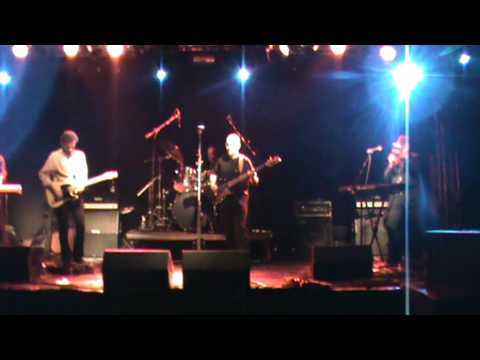 Five guest musicians (not currently mentioned in Line-up above) join the four-piece band. 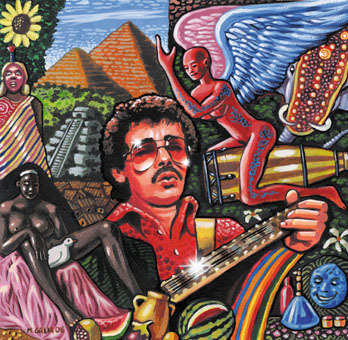 The mix of instruments is interesting, including as it does various keyboard instruments (at least six different types), several electric and acoustic guitars, bass, saxophones, flutes and tin whistle, rock drums and three types of African drums (bougarabou, djèmbè and sabar-lamb). All this helps to give the music quite a full sound. The cover and booklet paintings were done by Galia himself, as he is a professional illustrator. The "booklet" is actually a foldout sheet listing all the lyrics and the usual details of the group, instruments, photos and so on. I'll have to see if I can find a translation, as the album concept looks interesting. If you don't notice it, look at the Latin words on the cover of the book that the boy is reading on the cover painting: it's a famous palindrome called 'the Sator square' (the oldest example was found in the ruins of Pompeii). If it were possible I'd award 3.5 stars to this album. As it isn't I'll settle for 3 stars (Good, but not essential). Although its roots are firmly in the 1970s, it doesn't sound stale. If you're a fan of vintage 1970s Italian Progressive Rock, especially with a slightly harder edge, I recommend you check out this album. This debut-CD sounds as a tribute to the glorious days of the Seventies Italian progrock bands like BANCO, BIGLIETTO PER L'INFERNO, METAMORFOSI, LE ORME AND IL BALLETTO DI BRONZO. The first composition "Il racconte degli dei" (at about 25 minutes) is divided into seven parts. Part I is build around a compelling climate featuring powerful vocals (a bit melancholical undertone), beautiful piano play, propulsive guitar riffs and a wonderful string sound. I love the tension and dynamics and the final, very sensitive guitar solo. Part II has a fluent rhythm featuring fiery electric guitar work ans slow synthesizer runs and again very inspired vocals. Part III sounds atmospheric but halfway we can enjoy a good build-up and strong guitar solo. Part IV has a bit ominous climate (like KING CRIMSON on "Red") that flows into Part V that delivers a heavy guitar solo with biting runs. Part VI sounds bombastic with a howling guitar, choir-Mellotron, very compelling! The final Part VII contains powerful Hammond organ. Although some parts have a similar climate or are too longwinding, in general this composition sounds warm and pleasant. The second track "Lei e Venezia" (12.02) has strong classical overtones featuring piano, violin and orchestral keyboards. Gradually the climate becomes more bombastic with strong Italian vocals and sensitive electric guitar and halfway the atmosphere erupts with propulsive guitar riffs, synthesizer flights and a great build-up guitar solo with lush strings and powerful vocals. The third song "Voglio cambiare" (5.49) is a kind of 'prog 'n' roll: a heavy up-tempo rhythm, a dynamic rhythm-section, strong organ waves and good vocals. The next track "Oceano" (almost 10 minutes) sounds like 'bluesy symphonic rock': a slow rhythm, soaring strings, a lush organ - and fat guitar sound and melancholical vocals. 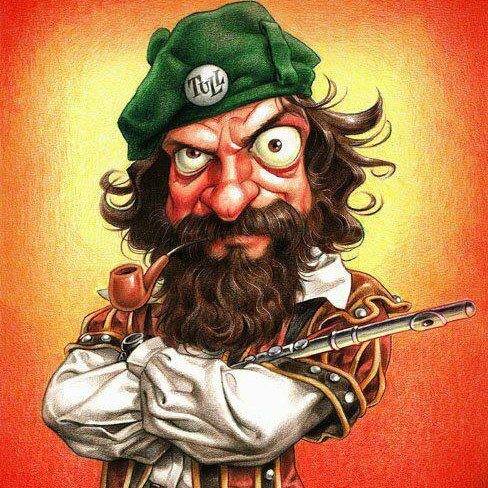 Then we can enjoy a powerful saxophone solo (in the vein of PINK FLOYD), a sensitive guitar and a surprising break with tin-whistle, organ, howling guitar and flute. The final song "L'assenza" is very alternating but showcases also that this band has to mature in compsosing and writing because at some moments it tend to sound too longwinded. But the second part is great, concluded with a wonderful and moving guitar solo. 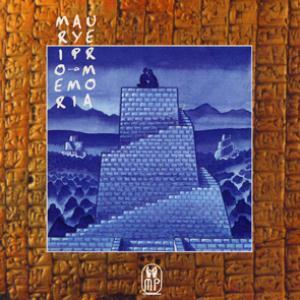 Although Maury E I Pronomi has to work on the compositions, this is a very warm and pleasant tribute to the legendary Italian progrock bands from the Seventies.